If your vehicle needs an oil change or any other automotive service, bring it to the Crestview Chrysler Service Department in Regina! Frequent oil changes are absolutely essential if you want your vehicle to run properly for many years to come, so our technicians make sure the service is always quick, hassle-free, and affordable for you. 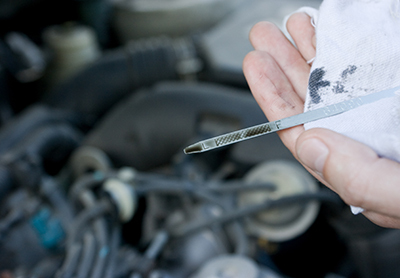 It can be difficult to keep track of when you last brought your vehicle in for an oil change. Thankfully, our certified technicians are here to inspect your vehicle and let you know exactly how often your specific model should receive an oil change. Choosing to ignore or wait well past the recommended schedule could result in costly repairs down the road. Clean oil keeps the engine’s moving parts well-lubricated. This reduces the chance of overheating, poor performance, poor gas mileage, and unnecessary gunk buildup. The reality of an irregular oil change routine is that you’ll actually be costing yourself more money in the long run. Is your vehicle due for an oil change? Bring it to our service center! We are open Monday through Friday from 7:30 a.m. to 5:00 p.m. and we hold Saturday hours from 8:00 a.m. to 2:00 p.m. To schedule an appointment, simply fill out our online service request form or call us at (306) 525-5411. We prefer to work around your schedule, so pick a date and time that works best for you and we’ll have you in and out of our service center in no time! From routine oil changes to unexpected transmission repairs, our certified technicians can take care of any issue your vehicle may be having. Our dealership is located at 601 Albert Street in Regina, just 5 minutes from the center of town, so stop by soon!